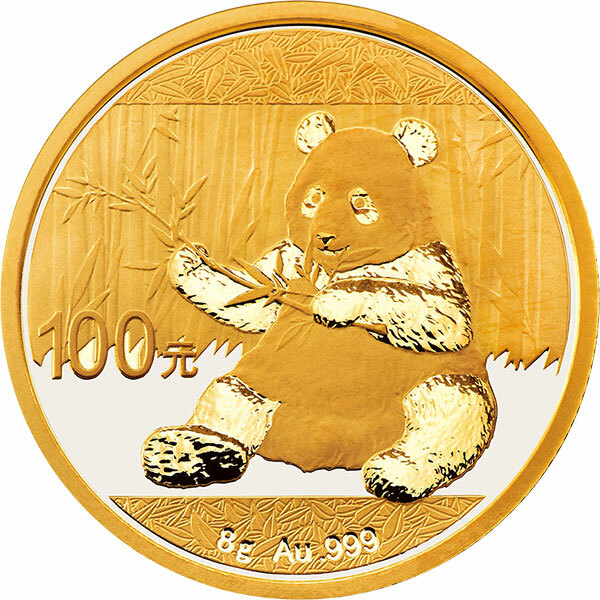 The 2017 Panda range from the Bank of China has put in an appearance with minimal changes outside of new reverse artwork and some upward moves on the mintage of some variants. 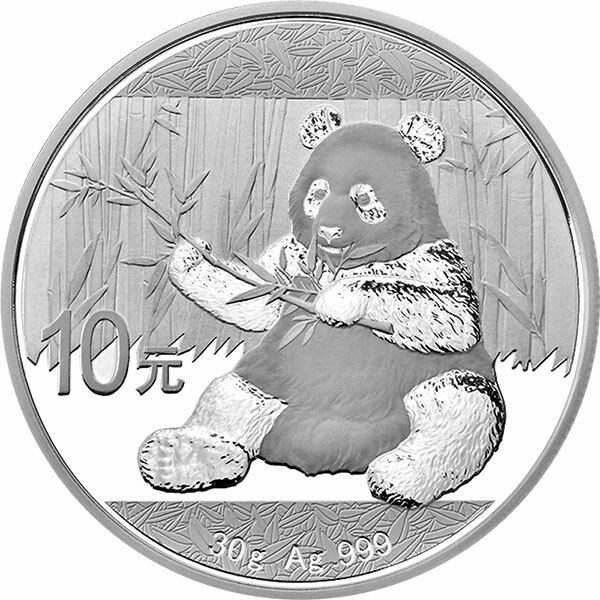 The design looks decent enough, although nobody could accuse the Panda designs of varying spectacularly each year. 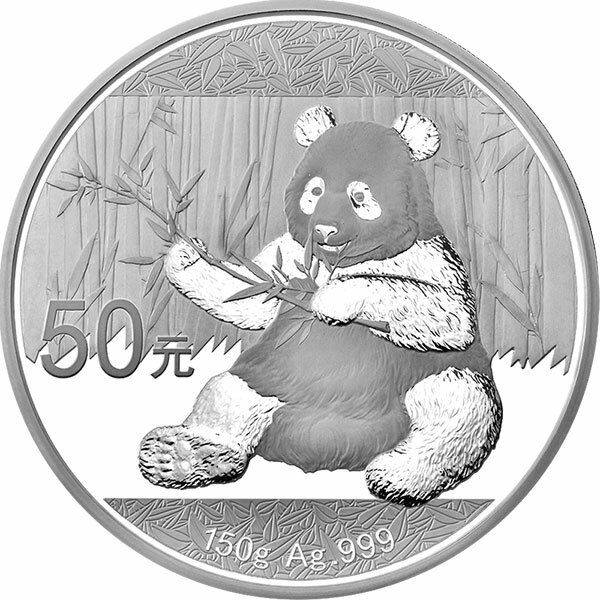 Depicting a Panda sitting down eating bamboo (do they do anything else…? 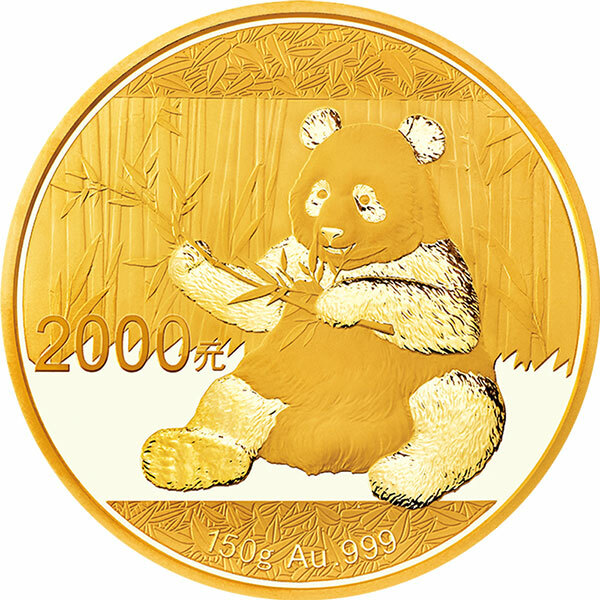 ), it is, like most of these, an attractive enough coin and one to please fans we think. The weights remain set in the superior metric weight system, introduced last year to mixed opinion, but it’s probably the way its going to go long term. 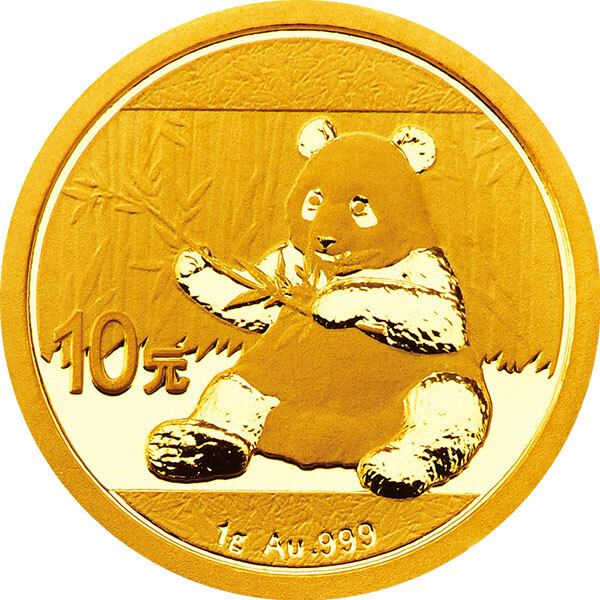 Gold bullion versions come in 1g, 3g, 8g, 15g and 30g weights. Gold proof in 50g, 100g, 150g and 1000g (1kg) weights. 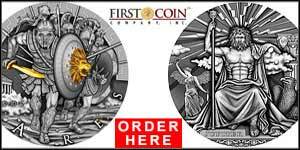 The silver bullion coin is available in the 30g size only, with 150g and 1kg weights being struck only in the limited proof format. 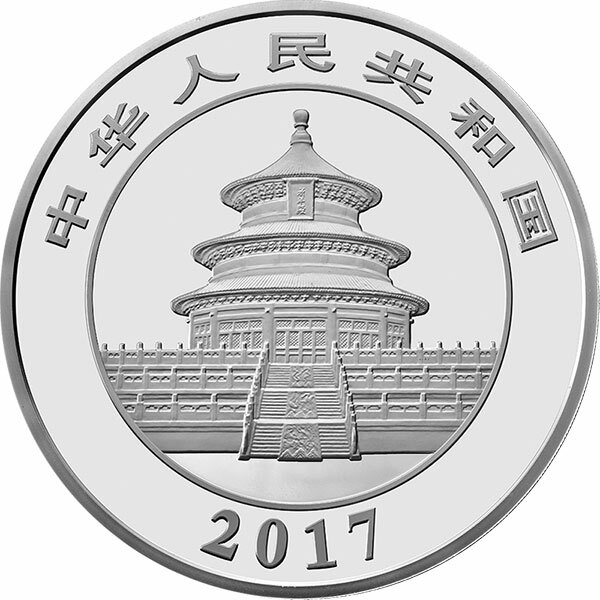 All the weights have remained inscribed on each coins reverse face after their controversial absence in 2015. 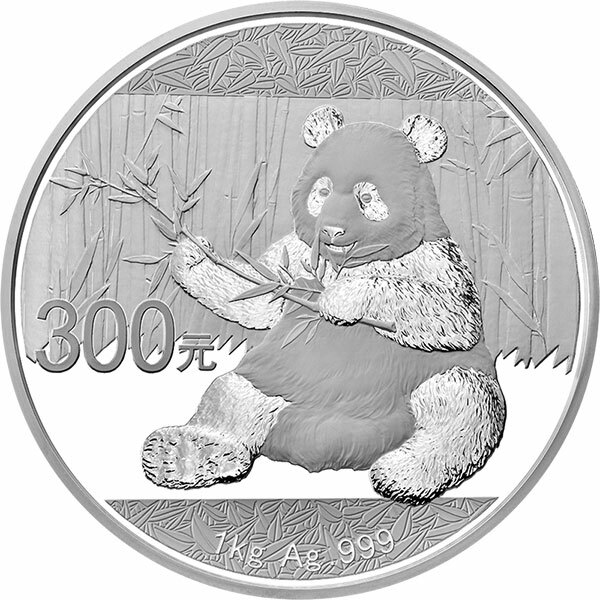 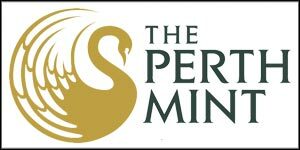 Mintages for the most part remain the same, but the 30g silver bullion coin has had its numbers increased by 25% from eight million, to ten. 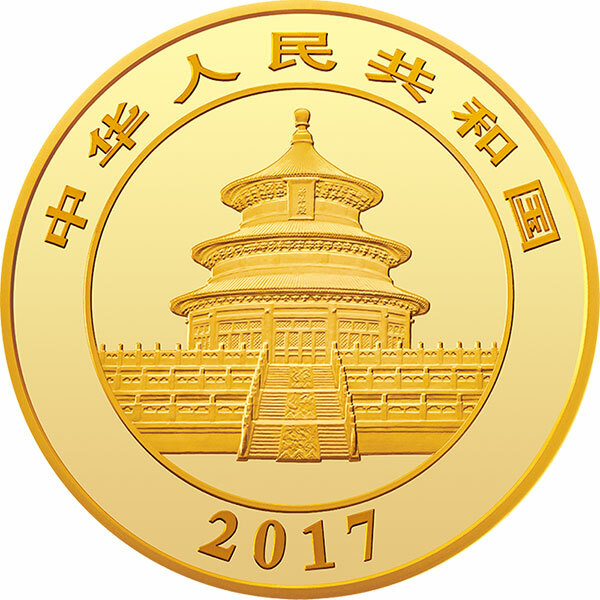 The 150g proof coin has seen numbers rise from 50,000 to 60,000. Changes to the gold proof range are non-existent, but the 30g bullion coin has climbed from 600k to 700k. 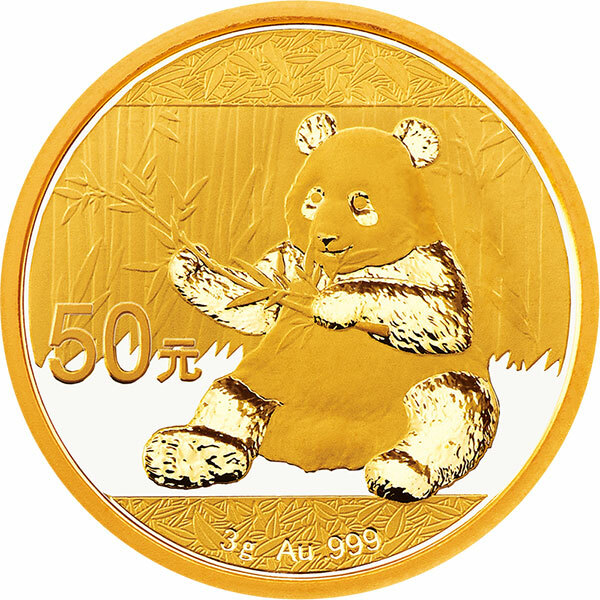 The smallest gold coins have obviously proven to be big hits in the market. 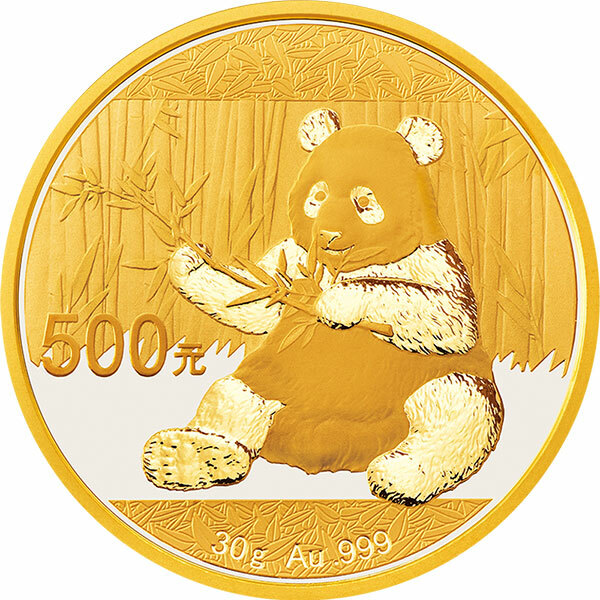 The 3g has seen its mintage rise from 600,000 to 800,000. 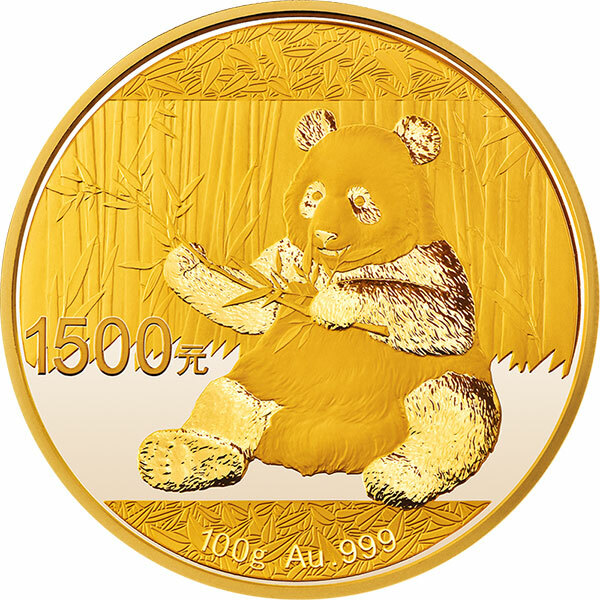 The little 1g minigold+ has seen the most impressive leap, from a similar 600,000 to a very healthy one million pieces. 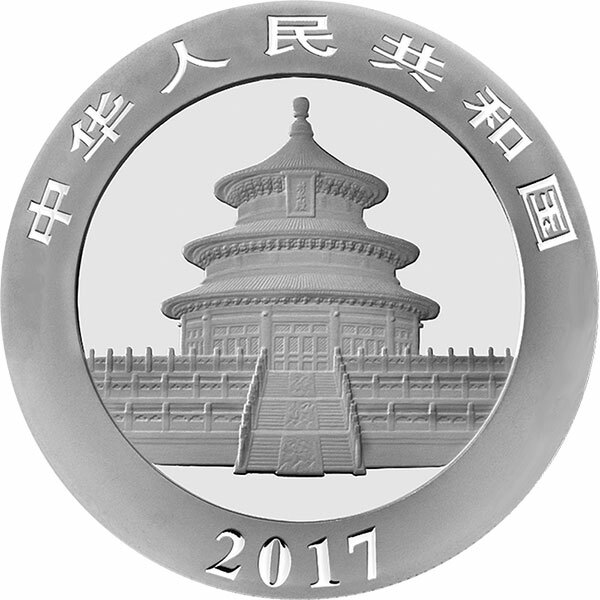 As usual, they’re struck by the Shenzhen Guobao Mint, the Shenyang Mint, and the Shanghai Mint. 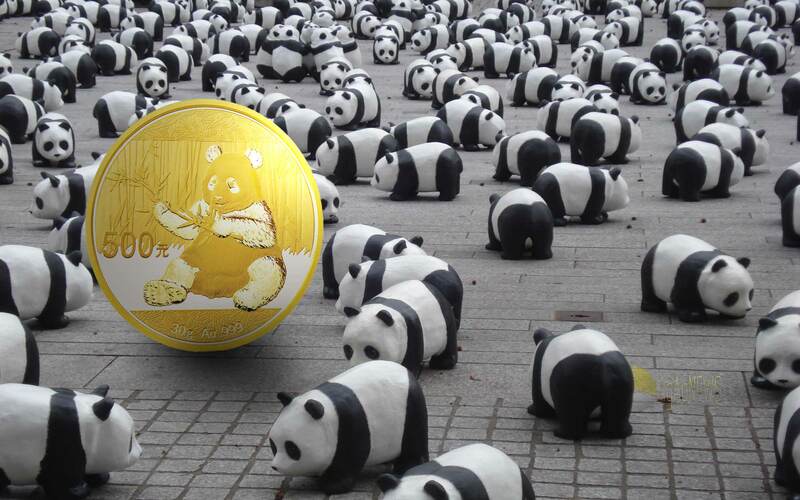 The bullion coins should be available from 28 October, the proof from 15 December. 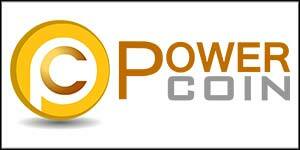 Prices will obviously be tied to the spot price. 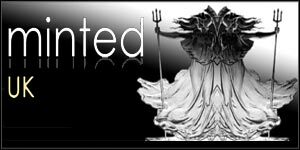 All in all, a decent entrant to this hugely popular series. 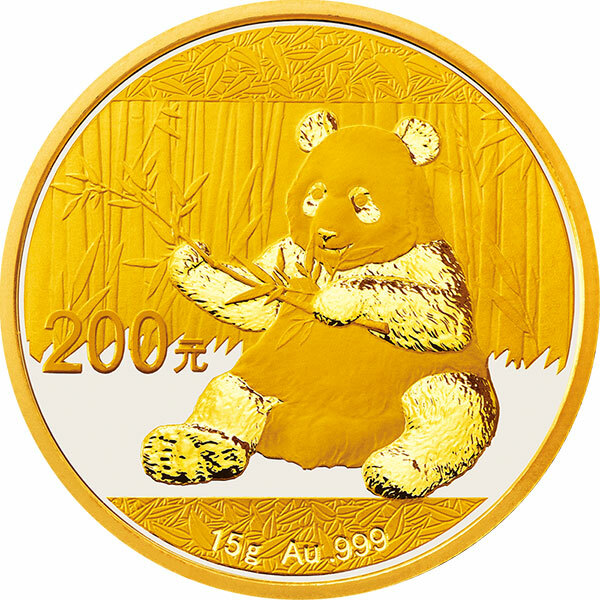 People’s Bank of China is scheduled to October 28, 2016 issue of 2017 version of the Panda gold and silver commemorative coins set of 12, including the Panda Pro gold and silver commemorative coins 6 (2016 October 28 release), Panda refined gold and silver Commemorative coins 6 (December 15, 2016 issue), are the legal tender of the People’s Republic of China. 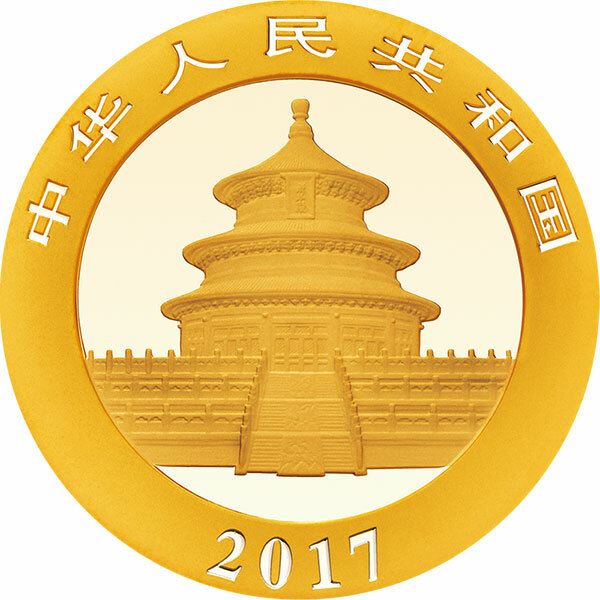 DESIGN: The set of gold and silver commemorative coins are the front of the Beijing Tiantan Prayer Hall, and published country name, reign; the back of the pattern are Panda food bamboo map, and published denomination, weight and fineness.